Getting your dream house soon? Still having this headache that what kind of windows is suitable for your house? Well in this article, you might get some ideas or clues. Singapore is a country where land is always in scarcity. However, the Singapore Government is able foresee this problem and start to have a good planning of infrastructure. If you ever visited Singapore and have a chance to tour the heartlands, you will notice Singaporeans are staying in high rise HDB flats. By building those flats high, thus create more houses for Singaporeans to stay. Take a good look at their house windows. You will notice that many of these HDB units installed aluminium windows to act as a barrier to their houses. Aluminium windows are commonly used in HDB flats, as those windows are durable and easy to maintain and the prices are very affordable. These windows normally are cased or framed using aluminium. Not only can be placed in HDB flats but they are also popularly sought for in industrial area or commercial places. Aluminium windows can be made up into many decorative designs. Furthermore, the hinges used in these windows are made in a design that is able to support to any glass or materials present in it. Do you know that aluminium was always the main material for the making of windows? The reason was that they are durable and robust. It allows folding on the panels of the window, thus you can enjoy the nice breeze or atmosphere outside your house. These windows had many good points. Aluminium’s strength and ration is commendable as compared with other metal’s weight. Hence, it allows aluminium windows able to be moulded or shaped in many nice designs. This point is greatly needed in fulfilling the necessities of Singaporeans looking for a customise look in a building. Furthermore, they also have a good moisture resistance which is very ideal for the climate of Singapore. Additional good points of aluminium windows are they have the advantages in control noise and are often sought for places that required noise control i.e. schools. 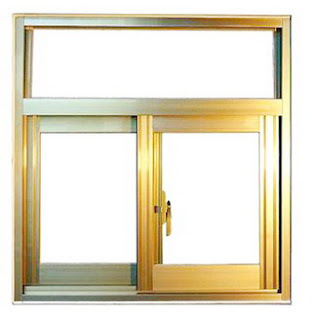 Maintenance is reduce to the minimum for these windows and will provide the best durability. In general, aluminium windows due to their durability, you need not worry about their operation and performance problems. These windows are very suitable using in Singapore due to our wet and humid climate. Maintenance is very minimum hence do not need much focus in cleaning them up.